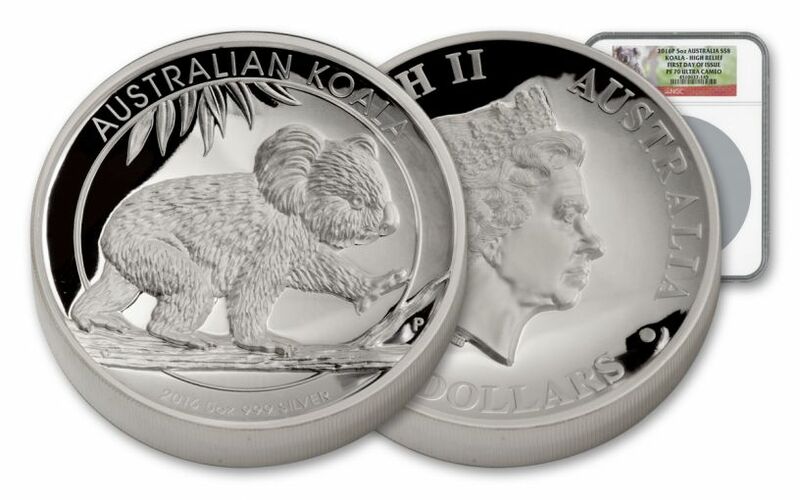 2016 presented a first for collectors of Australia’s famous Silver Koala series. 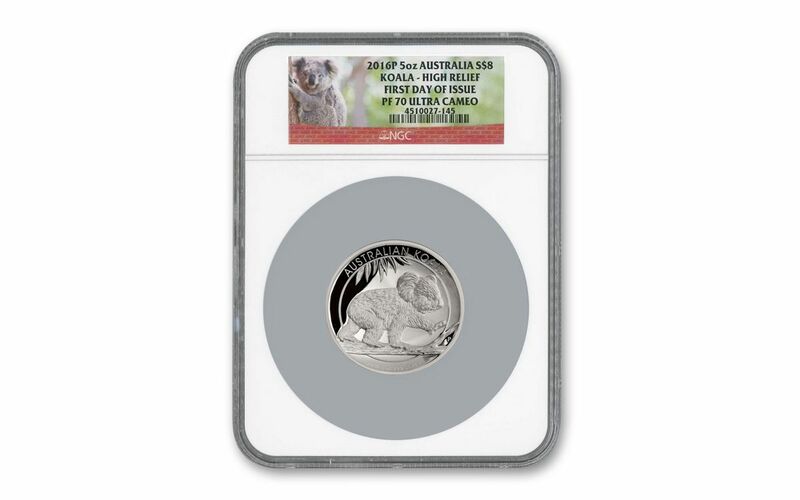 Never before had buyers been able to secure Five-Ounce Silver Koalas certified by NGC as First Day of Issue (FDI)! 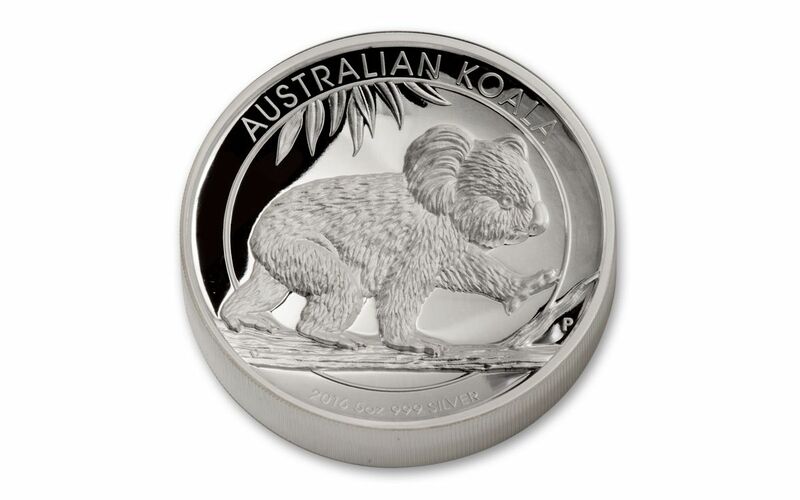 Presented in stunning double-sided high relief, the one-year-only design depicts an adult koala walking along the branch of a eucalyptus tree. You’ll be absolutely flabbergasted by how incredible it looks minted in five full ounces of 99.9% fine silver. 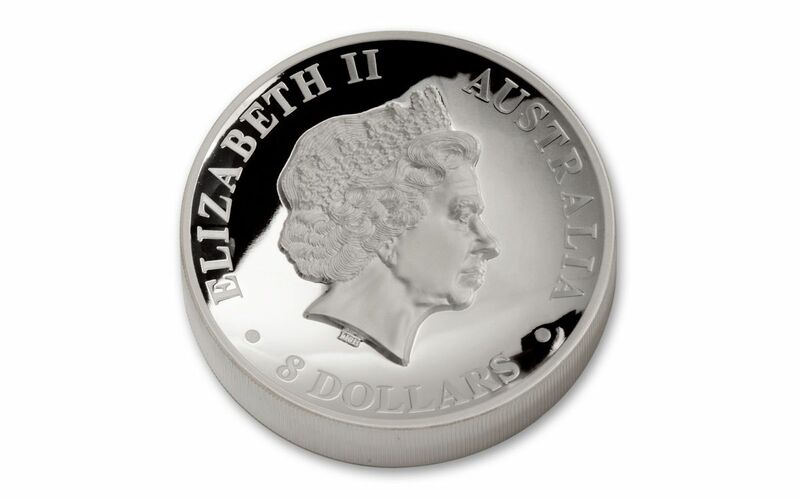 Minted by Perth Mint under the authority of the Australian government, each coin is $8 legal tender in Australia, and displays a traditional effigy of Queen Elizabeth II on the obverse. Collectors are always scrambling to find first-ever issues and designations. Not only is this proof an incredible piece of numismatic art, but it’s also flawless, graded by NGC as perfect Proof-70 Ultra Cameo (PF70 UC) condition. And since it’s certified as FDI, you know it’s among those with the freshest strikes available! High tail it to get this incredible coin today, right here at GovMint.com!